Jon Vroman teaches how to make important life changes. 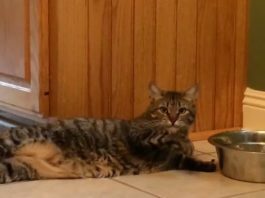 Check out this hilarious pet video which is sure to make you laugh-out-loud! CUTE PET VIDEO: Is it a Porcupine or a Dog? This video reminds us why having a family pup is so much fun. A home video captures a baby's priceless reaction after receiving a kiss. Samsung ad gets some folks riled up! A feline's life is filled with misery. LOL: Kitten Goes Crazy for Milk! What happens when you give a tiny kitten a big bowl of milk? Be "more good" at getting it on. Josh Groban will help you. Read on to find the best places to meet Mr. or Mrs. Right.